State Capture: Do the shocking findings mean the end for Zuma? On Wednesday afternoon all South Africa held its breath waiting to see if the Public Protector would release her report on alleged state capture. President Jacob Zuma initially did everything in his power to stop the release of the damning report by former Public Protector Thuli Madonsela, but in vain. But do the serious allegations of bribery and corruption mean the end of Zuma? After all, he’s one of the most slippery presidents the world has ever seen. We asked experts for their views. 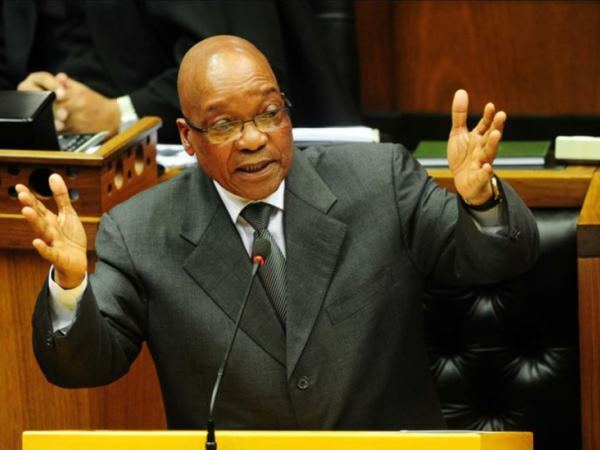 “I think this is definitely one of the last nails in Zuma’s coffin – but whether it’s the very last one no one can say,” says political analyst Max du Preez. But if Zuma continues as he has for the past 11 months the chances are good that he won’t be president by the end of 2017, Max says. But at the same time there’s a tidal wave of opposition, also from within the National Executive Committee, Max says. One thing that could well make things hot for Zuma is Minister of Finance, Pravin Gordhan’s, revelations about what goes on in the Guptas’ financial affairs. During an investigation the Financial Intelligence Centre came across a series of irregularities in the Guptas’ bank statements. “I think this state capture report is Zuma’s swan song, but we’ll have to wait a while before we see him go,” says Theo Venter, a political analyst at North West University. A politician like Zuma is at his most dangerous when cornered because he’s unpredictable, he says. Venter says Jackson wouldn’t do so unless he had support from within the ANC. He adds that Zuma’s sudden withdrawl of his application to stop the Public Protector’s state capture report was probably a result of pressure from the ANC. “They’re beginning to take care of their own interests. When someone goes bankrupt it begins slowly then suddenly happens very quickly. I suspect this is what will happen with Zuma.